↑ 1.0 1.1 No. 2012/8. 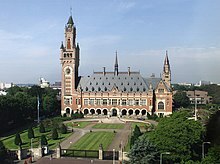 International Court of Justice. 6 February 2012. http://www.icj-cij.org/presscom/files/3/16913.pdf. Retrieved on 7 ਫ਼ਰਵਰੀ 2012.